Yigal Alon, Minister of Education and Deputy Prime Minister, urges the establishment of an open university in Israel, with the goal of making higher education available for all Israelis throughout the country. 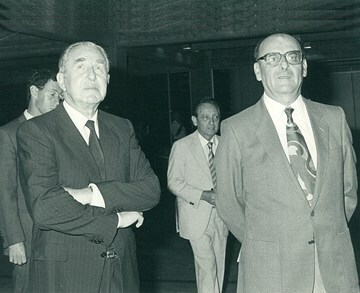 Yad Hanadiv (The Rothschild Foundation) establishes a committee of experts to conduct a feasibility study for the establishment of a "university for all." In 1972, the committee recommends the founding of an open university based on the British model. 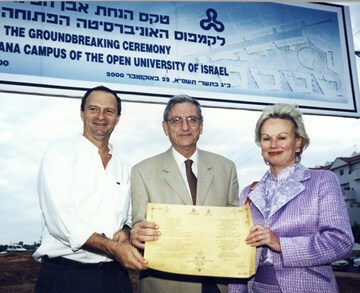 On April 14, The Open University of Israel (OUI) officially opens its doors. The first course development team is formed. The OUI aims to distinguish itself from other universities by its open admissions policy, distance learning framework, and nationwide network of study centers. On October 17, the first semester opens with 2,267 students. Mr. Max Rowe, Director of the Rothschild Foundation, is at the helm as the first president of the OUI. On June 18, 1980, the Council for Higher Education (CHE) authorizes the OUI to grant BA degrees. The first degrees are awarded on September 6, 1982 to 41 graduates. By 1988, enrollment at the OUI has risen to 11,000 students, who are registered in 180 courses. In order to address the academic requirements of an ever-growing and diversifying student population, the OUI adopts a sophisticated method of instruction based on the newest technologies, including mediated communication, cable TV, and satellite communication. Course development begins for a Jewish and Israel Studies program in Russian (Project Russia) with a view to offering distance learning in the FSU. The OUI Publishing House experiences a huge upswing. In 1994, the number of volumes produced for students and the general public reaches 114,000 (61 titles). Other new developments include the opening of the Student Call Center and Shoham - The Center for Technology in Distance Education. In 1995, the first OUI master's degree program is approved by the CHE. The OUI now offers an MSc degree in computer science. The Research Authority is established. A joint program with the Technion is implemented, which allows students who earn high grades in specific courses to transfer to the Technion. This is a precursor to the successful transfer tracks program, initiated in 1999, in which students may transfer into second-year studies at other universities upon fulfilling certain course and grade requirements. The university continues to add to its growing list of undergraduate and graduate programs, including an MBA and a BSc in industrial engineering and management. The university works together with the IDF to allow young adults to study in the Atudah program towards a bachelor's degree in computer science, prior to enlistment. 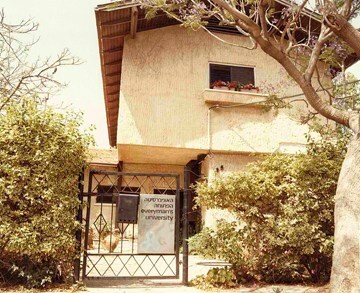 In 2004, the OUI administrative headquarters and major facilities move to their new location on the Dorothy de Rothschild Campus in Ra'anana. The OUI celebrates its thirty-year anniversary. It continues to add study programs to its academic offerings, including a four-year program in software engineering. Project Pe'er makes distance learning accessible via course books uploaded to the Internet. The first annual Research Day is held, as well as the first Students Day, followed by the establishment of the OUI Student Union. A "Green Council" is launched to provide a backdrop for environmentally-friendly activities sponsored by the OUI. The Soft Landing program is initiated to encourage Arabic-speaking students lacking fluent Hebrew to study at the OUI by providing support services in Arabic. A project designed to encourage members of the ultra-Orthodox population to acquire academic degrees is offered in ultra-Orthodox population centers. The Budgeting and Finance Committee (affiliated with the CHE) approves a budgeting model designed specifically to meet the needs of the OUI's distinctive academic framework. 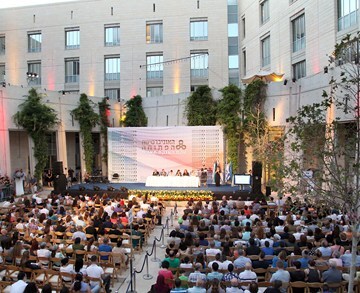 The budgeting model recognizes that the OUI makes a unique contribution to higher education in Israel through its widely-used textbooks and its emphasis on accessibility for students who might otherwise not seek higher education. The OUI implements Academia in High School as part of a national initiative in collaboration with the Israeli government. This program offers the top 10% of high school students in the ninth grade the opportunity to replace high school classes in selected subjects with credit-based university courses. The OUI establishes the Open University Press, which publishes scholarly books in all disciplines. In addition, it has been mandated to administer the annual Goldberg Prize competition for excellent academic manuscripts, and to publish the winning works. A pilot program to improve Hebrew language skills, coupled with academic literacy, is launched for Arabic-speaking students. Access Optimization, a new program in 2015, provides eligible Israeli-Ethiopian undergraduate students with academic mentoring and support. 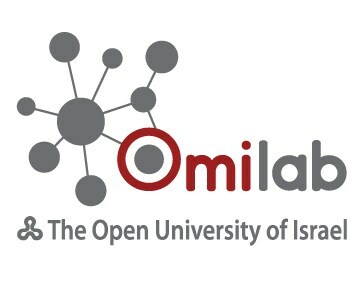 A Behavioral Sciences Lab is opened by the OUI in Tel Aviv. This facility will broaden the span of research in behavioral science conducted by OUI faculty members, as well as provide opportunities for advanced undergraduate and graduate students to take part in empirical research.